Last year Any Lamp started to use Global Placement to reach students from all over Europe and, since then, we selected many students from Germany, Italy, Sweden, Finland and Denmark who helped Any Lamp in his growth and development. Out of this students some of them were employed in the company straight after the internship period thanks to their attitude and high quality work. Overall Any Lamp's experience with Global Placement is very positive because it helps us to find good quality students among a very wide range of candidates and it provides a very good customer service. Globalplacement reduces the workload; not only by delivering high quality candidates, but also because of their efficient work method. 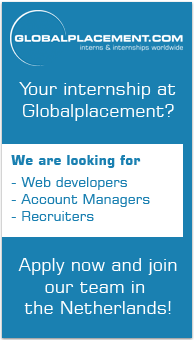 It is being great collaborating with globalplacement.com so far. We would like to share our experience with your company, proactiveness, accuracy of data, quality of applicants, easy to handle, and excellent service you provide. Platform is being constantly updating and usability improved also. Congratulations! We've been using Global Placement for three years now, receiving response from candidates on daily basis on just one single vacancy. The high volume of response enables us to select truly high profile candidates, using the Global Placement platform only.